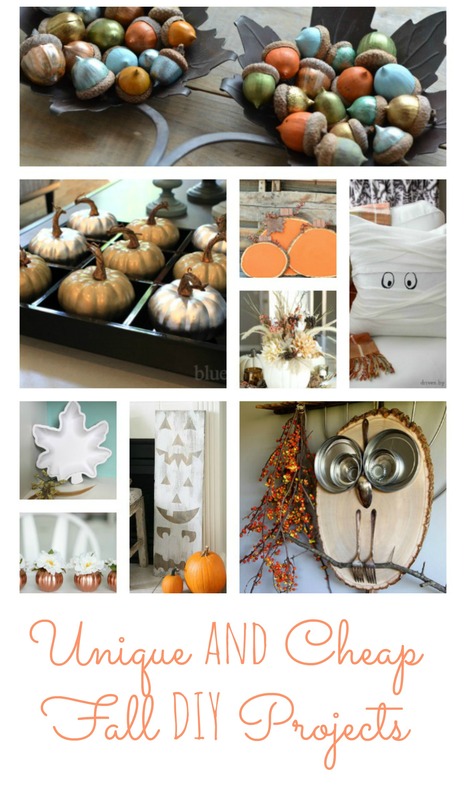 Fall…it is almost here! The mornings have been cooler here in Kentucky, and it just starting to have that “feel”. 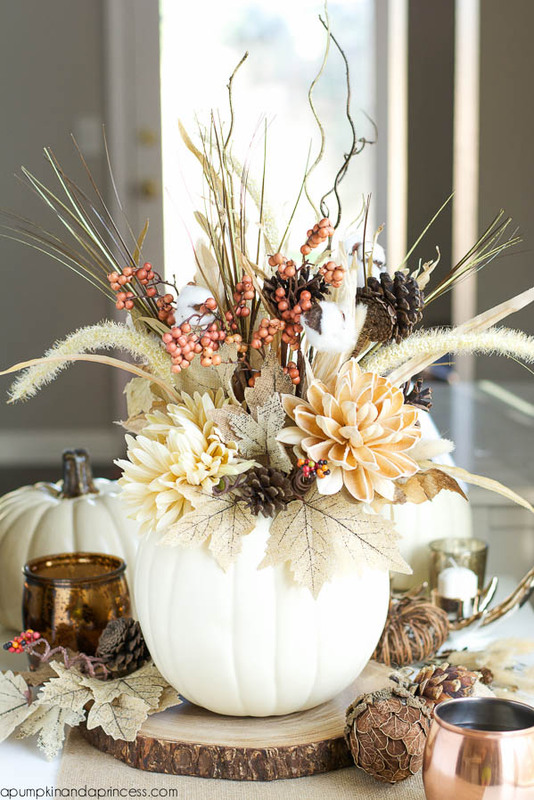 I am ready, and I don’t know about you, but I love to find fun seasonal decorating ideas that are out of the box. 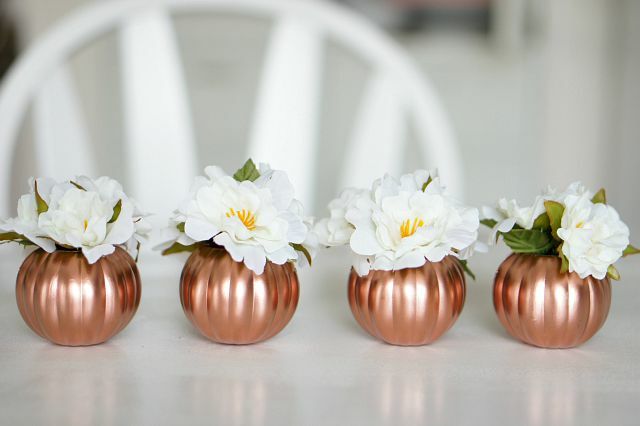 You know- fun DIY projects that some other clever blogger came up with that is simply genius! Well, today I have 9 of those for you that are sure to inspire you- and they are all EASY and inexpensive. Win Win! 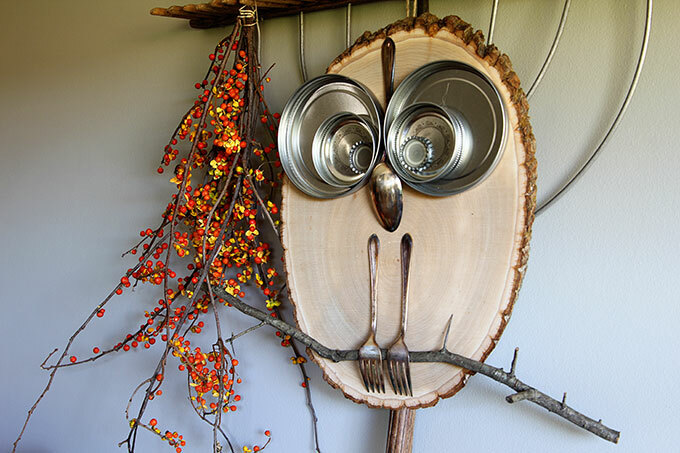 This owl by House of Hawthornes is SO dang cute! I definitely want to try this. It is very easy, and more than likely- you already have the items on hand to make one today! 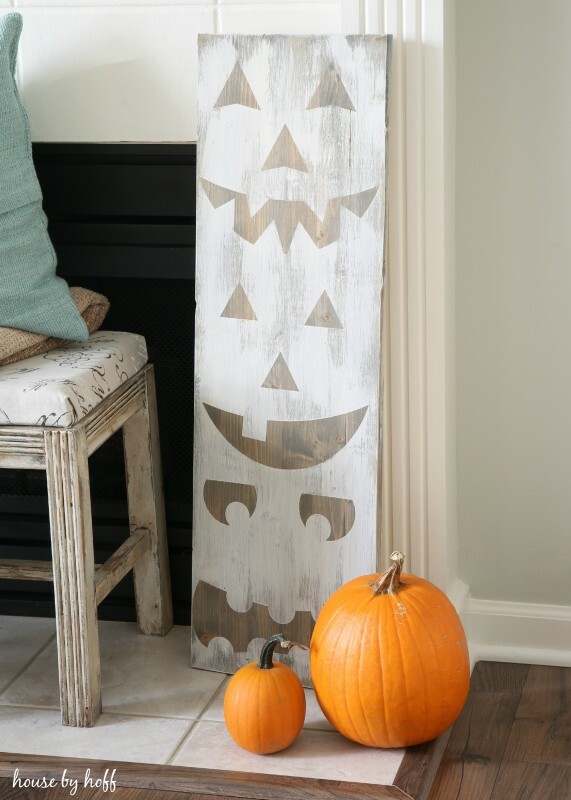 These DIY pumpkin signs from House by Hoff are not only super cute, but very easy to make. I was amazed at how quickly they can be made. 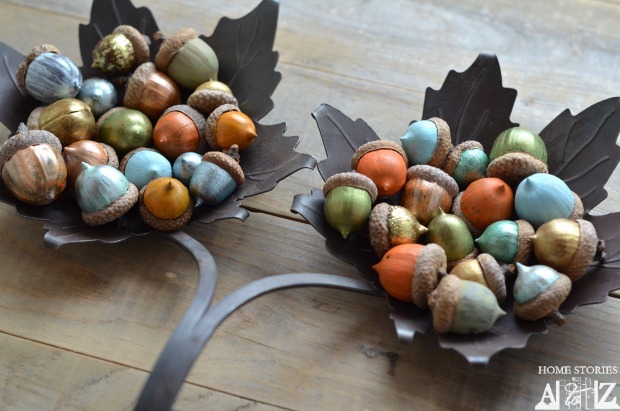 This post made me want to go out and find as many acorns as possible! The possibilities are endless here, and Home Stories A-Z goes into great detail about how she made these in her post! Ok, so this is just inspiring. 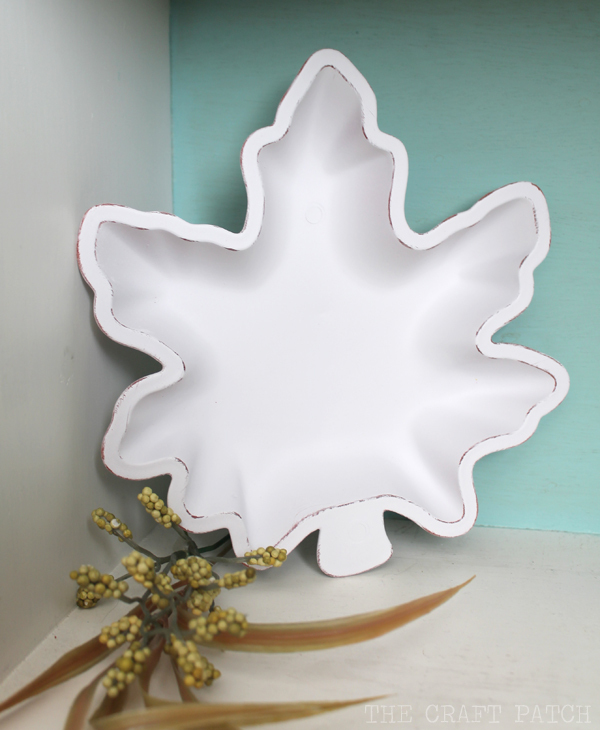 Would you believe this was just a simply dollar store leaf bowl? This is an awesome transformation by The Craft Patch! Now….what can we find at the Dollar Tree to make-over?!?! I have to tell you a secret. I can’t sew. NOT A LICK. Not even a button. Yikes. That is so embarrassing. 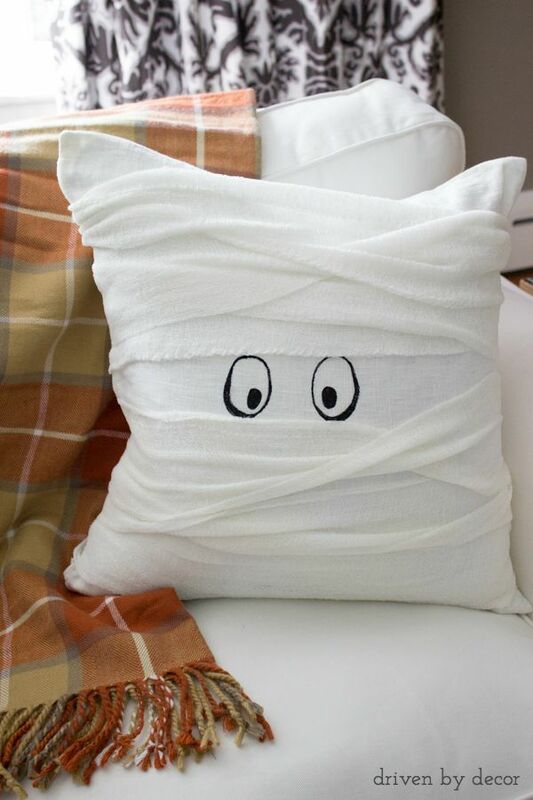 But, this is a NO SEW pillow by Driven by Decor! I think I can even do this one, and how cute is it?! Now, this idea by Blue I Style is just way too clever. Kids would LOVE this! Pumpkin tic tac toe…who would have thought?! Excuse me while I go find a pumpkin to turn into a vase like A Pumpkin and a Princess! Awesome DIY right here. 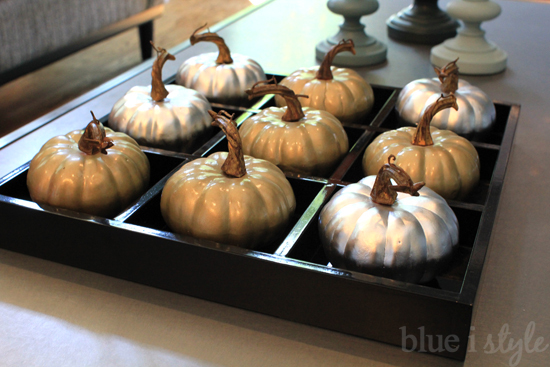 Can’t you imagine a gorgeous tablescape for fall?! 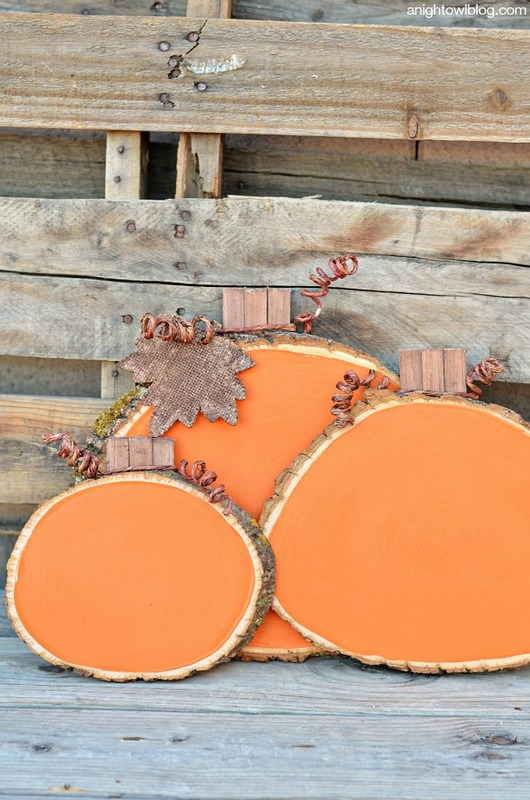 You will run to the Dollar Tree when you see what these cute little pumpkins were BEFORE! Up to Date Interiors knocked this one out of the park! A Night Owl Blog turned something SO simple into something SO extraordinarily cute! Love this idea! Ok, so now that my fall creative juices are flowing, I am itching to try some of these- plus I am getting some new ideas of my own! Can’t wait to finally get moved so I can actually do some DIY projects of my own! Which one of these was your favorite??? 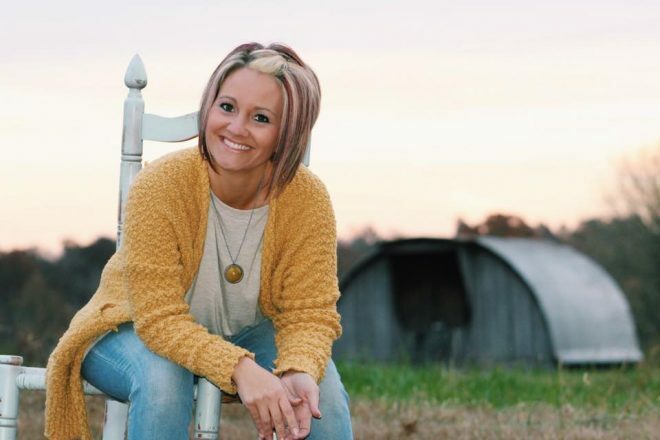 If you enjoy this blog and want to keep up with all that is new around here, I would love for you to sign up for my emails! I ONLY send you one when there is a new post that comes live! NO spam here! Nice Ideas and good use of products.. Thanks for sharing.! !